Total Carat Weight: 3.74 ct. 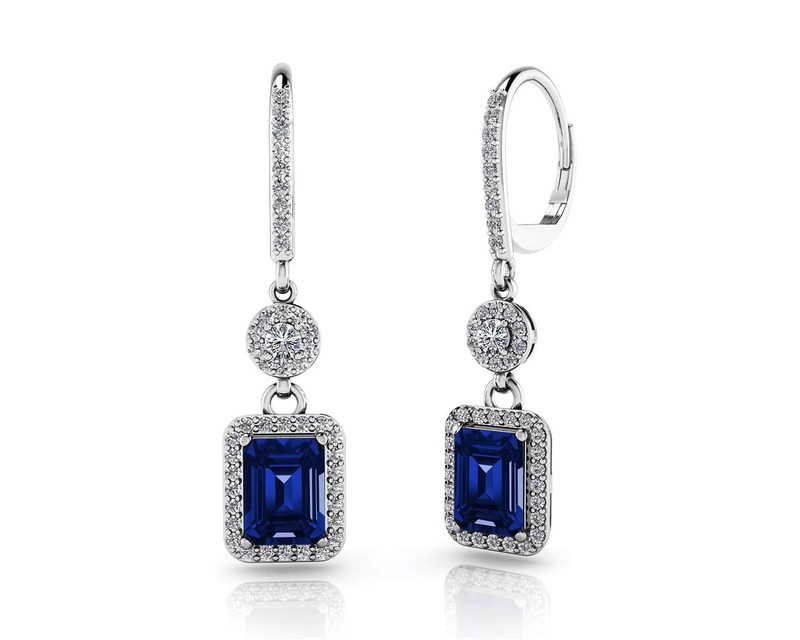 These gemstone earring will surely have your loved one under a spell. Each earring features round and emerald cut gemstone that are surrounded with smaller diamonds to frame this masterpiece. 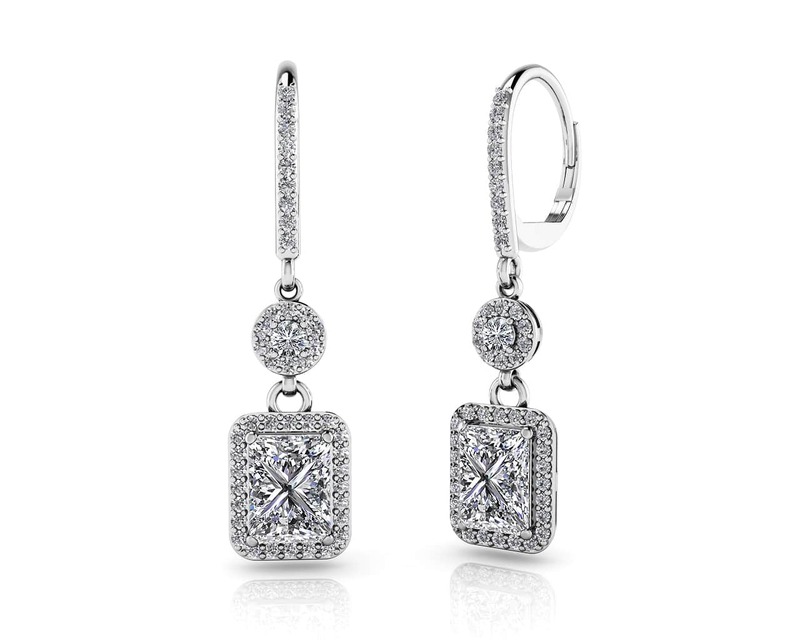 Customize your earrings by selecting the metal type and diamond quality. 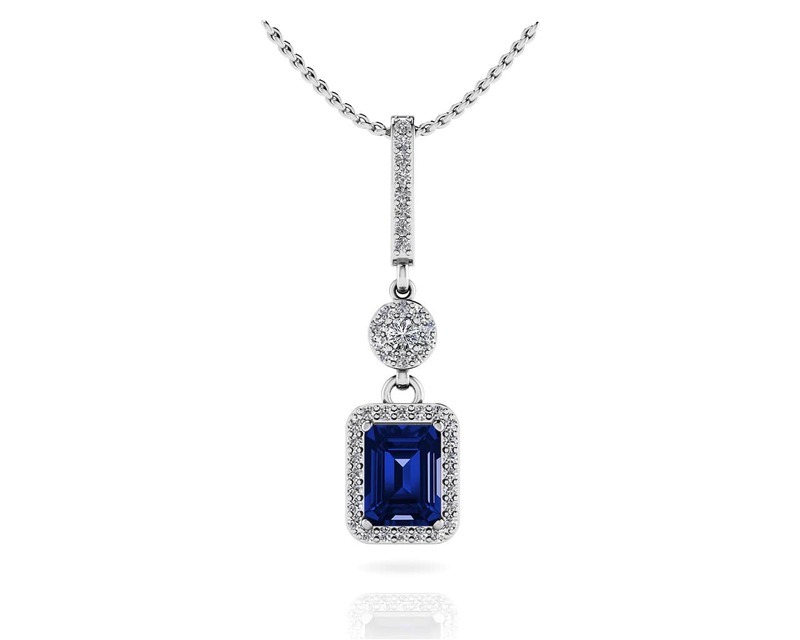 Model Carat Weight: 3.74 ct. Effective Carat Weight: 0.12 ct.
Stone Carat Weight: 88X.007 ct., 2X.060 ct., 2X1.500 ct.